Environmental professionals are (and will continue to be) under increased pressure to become more knowledgeable of environmental management issues. Basic Concepts in Environmental Management fulfills the long-standing need for fundamental knowledge-especially concerning government regulations on environmental and natural resource protection. As a leading environmental professional and consultant since the 1940s, Kenneth M. Mackenthun offers a unique perspective on the breadth, scope, and ever-constant change in environmental legislation at the federal, state, and local levels… and what those guidelines signify for industry and citizens alike. By maintaining an awareness of existing and forthcoming laws, environmentalists can substantially enhance their career potential-and be in a better position to protect the land, air, and sea. 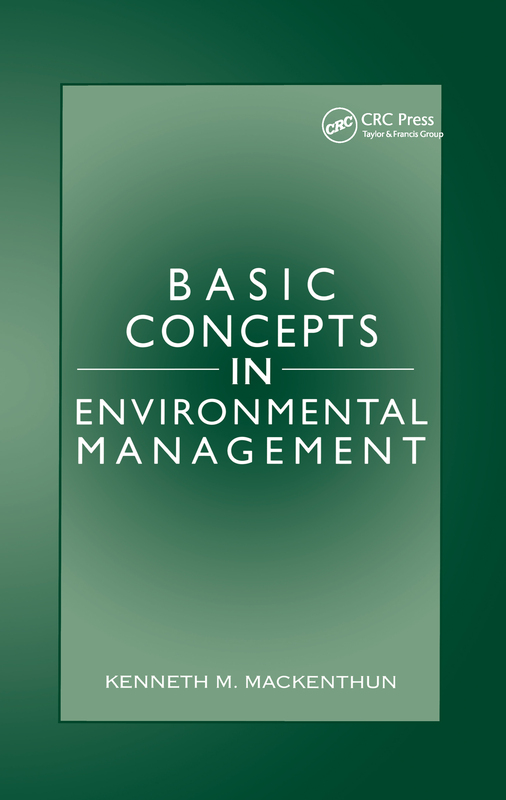 The starting point for that knowledge: Basic Concepts in Environmental Management.